A large oak tree dominates the scene. The central trunk of the oak is bowed, with little leaf cover its sinuously curved branches. 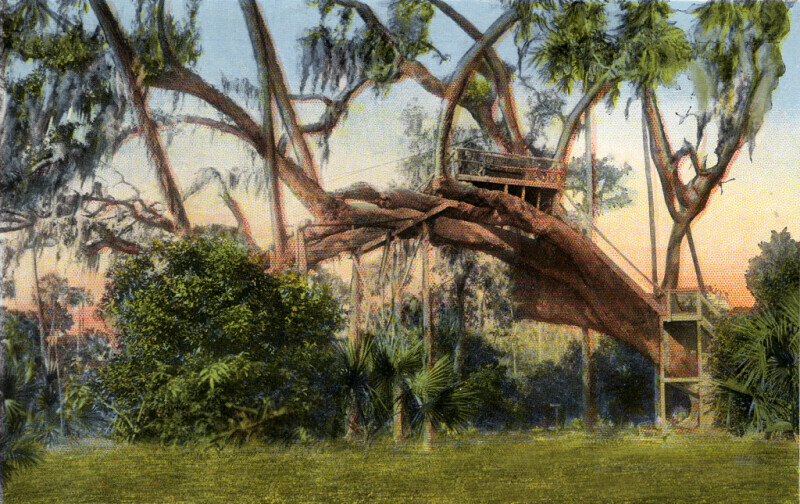 A wooden frame structure, with staircase, has been built to lead up to a deck that has been built at the zenith of the oak's curved branches. WARNING: You are about to download a 6.1 MB TIFF!